An increasing number of states have announced ambitious energy savings goals. From utility incentives to adoption of renewable energy resources, states are exploring new ways to influence customers to reduce their energy consumption and costs. However, there are still many barriers to overcome for states to reach their full potential. 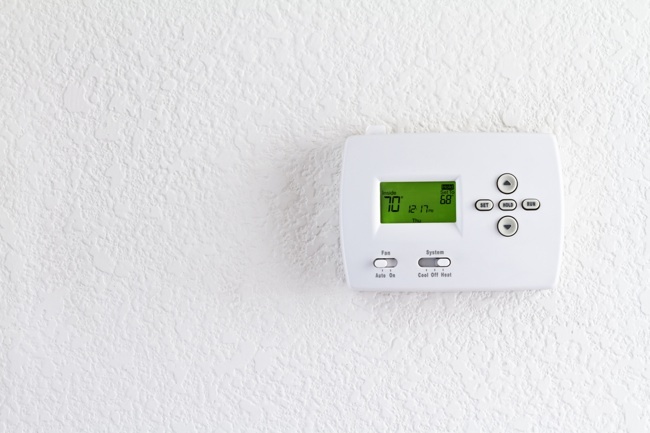 In the case of the programmable thermostat market, field data indicate that less than 50% of homes take full advantage of programmable thermostats’ energy saving capabilities. That is, they do not maintain schedules that lower indoor temperature set points during heating season when the home is unoccupied or people are asleep. Prior Fraunhofer Center for Sustainable Energy Systems CSE field research found that many households lacked the motivation and ability to effectively use energy-saving thermostat features. Homes similar to these are part of the current study. With funding from the New York State Energy Research and Development Administration (NYSERDA) and in partnership with the Albany (NY) Housing Authority, Fraunhofer CSE researchers developed two behavioral interventions to increase the effective use of programmable thermostats. The results will be analyzed this spring to evaluate the effectiveness of the interventions. Depending on the outcome, this project could yield a scalable intervention to help low-income customers save energy in the multi-family affordable housing sector by using programmable thermostats more effectively. Stay tuned for the findings later this year!